[SatNews] The U.S.A.F. 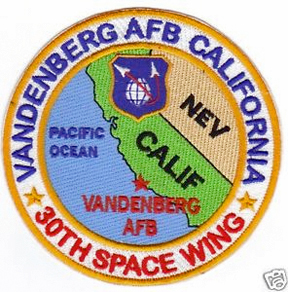 's 30th Space Wing Public Affairs office will begin hosting monthly visits to the Vandenberg Space and Missile Heritage Center in California. The monthly visits to the Vandenberg Space and Missile Heritage Center at Historic Space Launch Complex-10 are on the third Tuesday of each month at 1:00 p.m. Space Launch Complex-10 is the only landmark at Vandenberg AFB to be listed on the national Registry of Historic Places and is the site of Thor missile tests and Thor/Agena space launches. The first launch from SLC-10 was April 16, 1959—a missile test conducted by a joint U.S. Air Force and British Royal Air Force crew. The final launch from SLC-10 was July 15, 1980—a space launch of a defense meteorological satellite. The Space and Missile Heritage Center pulls together the history of SLC-10 and all west-coast launch programs as it tells the story of the critical role Vandenberg AFB plays in launching commercial, national security, and scientific polar-orbiting satellites. Vandenberg is the only west-coast spaceport and provides unique capabilities for assured access to and from space. All participants in these visits must register and provide full name, date of birth, and driver's license number at least 10 days in advance by emailing vandenbergcommunityrelations@vandenberg.af.mil.